Dawn – new poem from new book! Free Givaway of My Book! Great news! 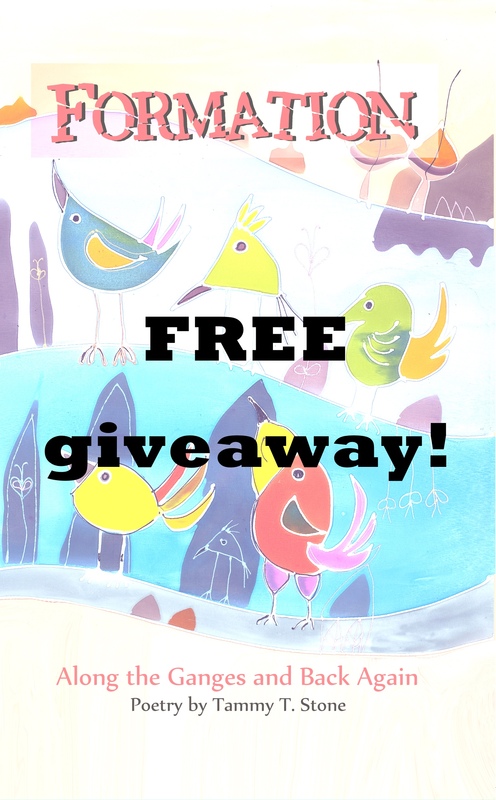 My publisher, Prolific Press, is hosting a free giveaway of “Formation: Along the Ganges and Back Again”! A Year of Writing – and Publishing! As dawn crept in on my 40th year, I shivered with excitement – and trepidation, and oddly, a feeling of peace. I’d already created a card from a photo of mine, so I could send my sincerest gratitude to so many people I love and hold dear. In this age of Internet, living as far away as Japan still feels, well … far, but I’m also able to stay connected in so many ways that fill my heart. Less than two months after my birthday, I heard from Prolific Press that they were interested in publishing my travel-based poems that became my very first published collection, “Formation: Along the Ganges and Back Again.” I was flummoxed, elated, terrified, bedazzled, and mostly, filled with wonder. Over the coming months, as I hunkered down daily to work on a new novel I’d started, Prolific Press and I selected, revised, formatted, compiled some more, and eventually, came up with the title and beautiful cover image for the book! As this was going on, the words and the poems continued to flow, and by the happiest of serendipitous encounters, I discovered Women’s Spiritual Poetry, a beautiful blog and project that serves as a platform for women’s poetry from all over the world. I submitted my first poem there, and had such a warm, lovely experience that I haven’t looked back! Catherine Ghosh, WSP’s courageous, generous, brilliant and gifted leader, provides such a warm and protective space for her writers, that becoming part of this community has been a truly remarkable gift – yet another in my 40th year! They say 40 is magical, powerful, special, and I believe this to be true. 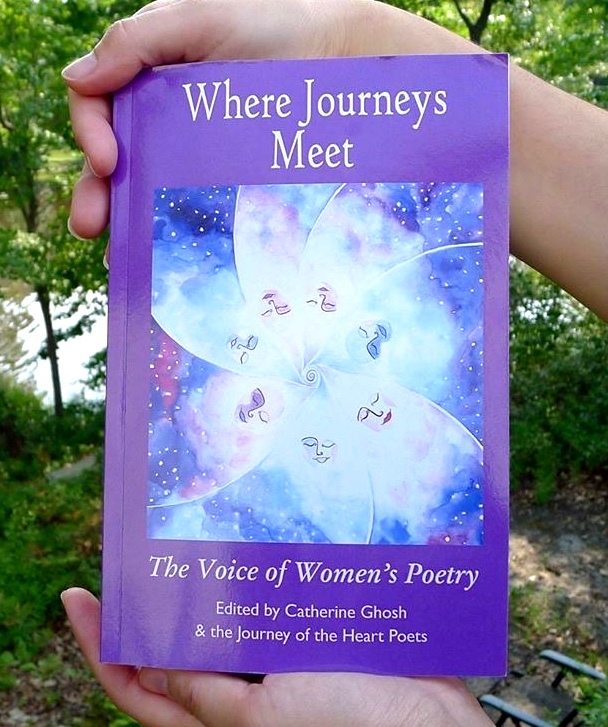 A few months ago, Catherine invited us women to become part of a collaborative effort: her second anthology of poetry consisting if poems coming from the blog. I leaped at the chance! I ended up getting involved in the selection process, have five poems included in the book, and I also did a little bit of proofreading, and wrote an introduction for one of the chapters: Voicing Soul Secrets. There was actually another little serendipity involved here. I live in Japan, as you know, so much of the work that goes on in my co-writers/poets’ lives happens while I’m in the throes of dreamland. I’d noticed late at night (for me), before going to bed, that 13 writers would be needed for chapter introductions. 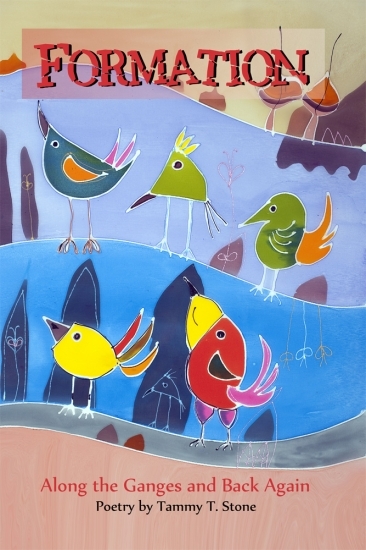 My eye fell immediately to Soul Secrets, but I didn’t want to be pushy – I was fairly new to the group, and didn’t want to overstep, and I for sure didn’t want to take some work that another poetess was dreaming of doing! I told myself that if it was still available in the morning, I’d offer to write it. When I woke up … it was the only one left! Being intimately involved in the production process of this book was a privilege and a huge learning experience. I got to watch as one of our poetesses, Shailie Dubois, offered a painting she’d done that was so stunning it ended up on the cover of the book – she also did another for the back cover, and did one of the book’s two trailers (Catherine, a masterful video creator), did the other). And now, just after my 41st birthday, I am gifted again … with the release of the book! On the day of its release, our new poetry book “Where Journeys Meet: The Voice of Women’s Poetry” made it to the #1 spot on Amazon’s Bestselling New Releases in Poetry by Women *and* to the #2 spot in Bestselling Poetry by Women (in general) right next to MARY OLIVER, one of my heroines! What a year, and bookended (! ), no less, by two books. For a human like me, who has been dreaming and breathing words her whole life, this is a moment I want to fully dive into with my full appreciation and gratitude. The work never stops, the words continue to flow, emotions run in every which way … but for now, we are here, and there is a lot of celebrating to do. Thank YOU for being here to celebrate with me. May we share words and hearts for a long time to come!